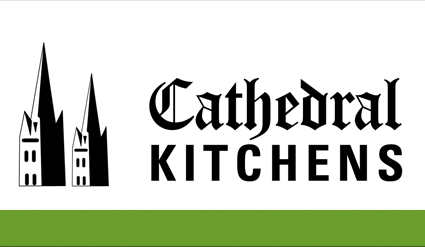 Cathedral Kitchens offer a friendly and professional kitchen fitting service to all of our clients and use quality products, materials and most importantly our crafts and tradesmen take pride in ensuring that your kitchen is fitted and finished to the very highest standards. Cathedral Kitchens was formed back in 1989. With the experience gained through ten years working for a large company (UBM Building Supplies) I decided to branch out in the kitchen business. Using the experience I gained through working in a showroom, in after sales service and kitchen fitting I felt I was in a position to to start my own business - and so it has proved some 23 years latter. I am personally involved throughout the entire process of the kitchen project, from the first site visit, plans and quotation, through to fitting. This includes the co-ordination other tradesmen who I trust and whose work I recommend. Cathedral kitchens are tailored to your needs - I listen to what you would like, suggest any points you may wish to consider and offer choices, rather than "selling". I utilise a range of kitchens that are made to measure, eliminating the need for fillers and tray spaces when they aren't wanted, also giving me the ability to build round boilers etc. Please take a little time to view the picture gallery and look at the testimonies of past customers. "I had heard of the skill of Simon Jones previously, so when our kitchen needed a severe refurbishment, he was one of the tradesmen contacted to quote to undertake the work. He basically undertook the role of project manager as we were away on holiday, having discussed all requirements before we left, which included new units, moving/installing new appliances, plumbing, new sinks and co-ordinating with electricians and the water board! The completed kitchen is more than we could have hoped for, the finish superb and Simon fulfilled the project with great skill and professionalism. We would not hesitate to recommend him!" "Having had a kitchen fitted by 'Cathedral' 20 years ago, and been very pleased with both the long lasting quality and 'after-sales', we had no hesitation in returning to them this time. We did look at the market but found 'Cathedral' to be good value for money. One of their main advantages is that they offer a personal service as compared to the 'big-company' approach. They also provide be-spoke designs by combining individual customer requirements with their own considerable experience. Plumbing, tilling and all electrical work was well co-ordinated by Cathedral and the whole job was completed on time. Once again we were delighted with the end result." "From the start of the design process through to completion, we cannot fault Cathedral Kitchens. They have provided us with a very personal yet highly professional service with constant attention to detail, and we are thrilled with our beautiful kitchen. We especially appreciated the time that was given to getting the design just as we wanted it and all the helpful advice and ideas that were given in the process. Such excellent service and craftsmanship are rare." "Just wanted to say thank you so much for my lovely new kitchen! It arrived on Saturday morning as promised and looks fantastic. Thank you for all your help in the planning, sending samples and generally taking the time to make sure every detail was covered. I had heard so many horror stories about other people's kitchens (not from yourselves!) that I wondered if I should expect the worst - so thank you for such an excellent service, product and price. Really impressive.